LG TV Customer Care provides services to its customers with regard to any issues with the televisions such as LED, LCD, Plasma, Ultra HD etc;bought from LG.Below provided are the toll free numbers for customers to contact their service providers. Toll Free Number: 1800 300 8080. Below provided is the list of Service Centers of LG TV in major cities of India.Customers can go to the nearest service center and get their issues resolved. Address : No-48, Indira Gandhi Road, Ags Colony. Address : D.No, 5-8-344/1″ Dhan Bhagya Estate”, Chirag Ali Lane, Abids, Next To Raghava Ratna Towers. LG TV Warranty, Extended Warranty, Warranty rules, Warranty Period & Warranty Check information is provided to the customers regarding the products taken from the company. Warranty may be Carry in Warranty where customers have to take the product for service and Onsite Warranty where the Customer Service people visits our place for service. Depending upon the product and working condition of the product any of the two services will be done by the company. All LG televisions have 1 year warranty and free transit insurance. All the defective components shall be replaced with the compatible parts under warranty period. Transportation for taking appliance to the service centre shall be borne by the customers. Damage to the product or any parts due to transportation/shifting does not come under warranty. LG Electronics is a south Korean multinational electronics and the company operates its business through five divisions: Home Entertainment, Mobile Communications, Home Appliance, Air Conditioning and Energy Solution, and Vehicle Components. The company is one of the top leading producers in the television market. its product range includes LED, LCD, Plasma, OLED, super ultra HD, Smart TV, 4K ultra HD and 3D TVs. LG televisions have all types of features like perfect black, perfect color in OLED screens and has smart technology.LG Store offers you a one stop location for all available entertainment. Supports miracast feature and has ultra surround sound system.The built-in HEVC is the format that will be the future standard for 4K video compression. HEVC supports 4K video with 60 frames per second delivering clear and blur-free motions. I have been contacting LG customer care for MY new 32″ LED TV SCREEN PROBLEM on past 20 April 2018, 21 April 2018, 01 May 2018 and 03 May 2018 for that My 32″ LED TV screen have manufacturing defect, but I have not received solution from LG customer care untill 16 May 2018. Will have to say that the customer support for LG is becoming pathetic and very unfriendly towards customers. I am RUPALI, I have compliant regarding refrigerator but I am not satisfied with the services provided by your service engineer at Mohali location because again light is not work properly of refrigerator I have complaint more than for 3 times so I want that my problem solve immediately and as soon as possible ( my refrigerator model is GL-285FEG5/2011) as I don’t understand that LG is the big brand but service is not good and poor service. As I am not satisfied with your services by service engineer so I want to change part to be replaced again but now with another service engineer. Please Call to the Customer Care Number 39010909(prefix std code) and request for Service. My lg LCD TV not working properly. On screen many colourful lines are coming. Kindly give useful advice. 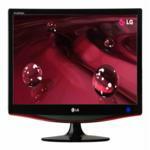 I have purchased LG LCD model no. 32LD310 ATR Chasis no. 005LPGE000543 from M/S Gunjan Electronic, Lala Bazar, Almora Phone no. 05962231063 T.I.N. No. 5003223529, receipt no. 11081 on July 24, 2010. Today I have taken TataSky HD+ then only, it is came to known from your engineer that the HDMI slot is out of order and irreparable the only one option is left to replace the card. Kindly do the needful for its replacement. I have faith in your product but this is a shocking report of your product. I purchased LG LED 26″ TV. Model is 26LS3500. The problem is, when we connect to Cable/SetTopBox it displays pictures in B/W. Colour is not getting dispalyed.How can we resolve it? Subject: NO RESPONSE for my complaint no. – Customer request Id RNA120713040329 REGISTERED ON 13/07/2012 . This I write with greatest resent and agony regarding NO RESPONSE for my complaint no – Customer request Id RNA120713040329 REGISTERED ON 13/07/2012 . I haven’t received any response for the said complaint from your side . TILL TODAY IT HAS NOT BEEN NOT ATTENDED OR RESPONDED BY ANY SERVICE REPRESENTATIVE. MORE THAN 72 HOURS HAVE PASSED . KINDLY HELP . Customer request Id : RNA120713040329 REGISTERED ON 13/07/2012 . PROBLEM : PICTURE IS NOT DISPLAYED . SOUND IS OK. I have been contacting LG customer care for the past 12 days to get my tv set repaired but the same is not happening in spite of assurance that the problem would be resolved within 24 hrs.MY Complain no is RNA 110704082361. So I hope after this mail you will give me a favour. So that some one can come and manage it . I have been contacting LG customer care for the past 2 days to get my tv set repaired but the same is not happening in spite of assurance that the problem would be resolved within 24 hrs. Dear sir; I am running my hotel known as Om Resort in Rishikesh situated in Uttarakhand. Actually in my hotel I have installed L. G . T.Vs. At present four of my tvs are not working ; I have complaint to the nearest dealer about this several times. but still no one from L. G came to us . I am facing problem with my coustmers due to this. Its like more than one week since I have been waiting for the person who could manage this problem . So I hope after this mail you will give me a favour. So that some one can come and manage it . This is a repeat complaint against complaint no RNA110120020748, there was no satisfactory response from the service center. please send some senior person who knows about the USB mode setting. Problem : 1. TV does not play the audio for MVK files, 2. The hard disc gets disconnected in between the movie and reconnects automatically. Request to respond on priority as this is being delayed. My LG Fltron tv is not running properly so I registered my complaint on your toll free no Number : 1800 180 9999 from dated 15/12/2010 and cimplaint no. is 101215081533 but your service engineer not come at my home.